California’s leadership on environmental issues is not new — the state has been at the forefront of the fight to combat climate change for decades. 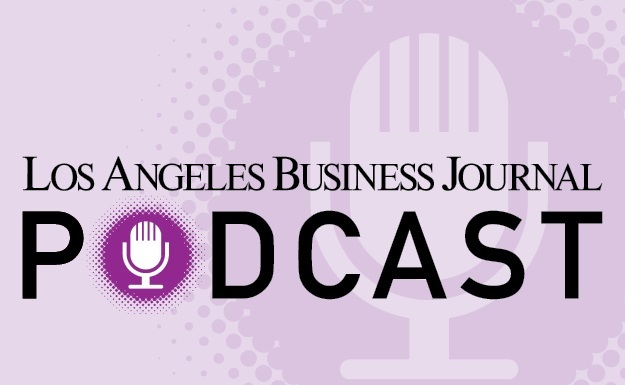 We’re more than a month into 2019, and the business community in Los Angeles seems to be hitting its stride after the traditional year-end slowdown. Let’s start with the good news, shall we? We’ve made it to 2019, and after the holiday doldrums it seems everyone is casting about looking to make sense of the year past and the year come. It appears as if one of our local billionaires has a new venture. Clearlake Capital and Angeles Equity Partners Purchase Meek’s Lumber Co.
EP Wealth Advisors acquires Caves & Associates’ $190 million assets under management. WndrCo leads $295 million investment into AnchorFree Inc.
Deals & Dealmakers: L.A. Ties for Compass-Pac. U. An out-of-town real estate brokerage acquisition comes with a side of L.A. intrigue. City National Bank continues growth with Exactuals acquisition. TaskUs gets $250 million from Blackstone. Logitech picks up West Lake’s Blue Microphones in $117 million deal. Pacific City Bank files for IPO. Koreatown-based bank Pacific City Financial Corp. filed documents with the Securities and Exchange Commission July 17 announcing plans for an initial public offering on Nasdaq. The bank plans to raise up to $50 million. SEC fines Oaktree Capital Management. $1.4 billion for Hong Kong apparel outfit. Platinum Equity gets $1.4 billion for cargo handling company. MedMen Enterprises follows up public listing in Canada with $53 million acquisition in Florida. EP Wealth Advisors adds $420 million to assets under management with acquisition of Donnelly Wealth Advisors. Silicon Beach Report May 29: Is Bird the First Scooter Unicorn? South Bay-based cloud computing service provider Reliam puts $75 million to work. Justice Department investigates cryptocurrency and price manipulation; PeerStreet passes $1 billion mark in real estate loans; UCLA Magnify looks for tech and life science startups. South Bay-based cloud computing service provider Reliam announced May 23 the acquisition of Boston-based G2 Tech Group for an undisclosed sum. SpaceX Readies Next Falcon 9 Launch; More Competition for Bird; Core Innovation Backs $8 Million Crypto Raise. Elon Musk revealed more details about his Boring Co. project; mobile game developer Gamelynx announced a $1.2 million raise to create a competitive e-sports game; venture capital firm Upfront Ventures continued to back Irvine-based Cloudvirga. Toys, teams and projects of the mega-rich. Skyline addition for City National’s downtown profile. Monogram Capital Partners raises $152 million with focus on branded goods. RBB Bancorp puts down roots in New York with First American acquisition. Gem’s new cryptocurrency platform helps users track and trade their holdings. Clearlake takes stake in Lytx; Provenance buys into men's brand Knot Standard. High Times is buying Green Rush Daily to merge cannabis lifestyle publications. West L.A.-based High Times Holding Corp. – the parent company of cannabis lifestyle magazine High Times – plans to purchase Green Rush Daily Inc. of New York for a cash and stock package worth an estimated $6.9 million, according to documents filed with the Securities and Exchange Commission.